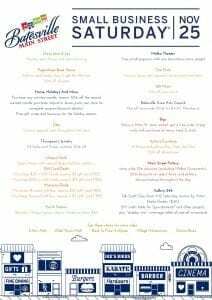 Downtown Batesville Has Exciting New Event – “Shop Small Saturday” is November 25th! Merchants of downtown Batesville will come together November 25 to host “Shop Small Saturday” as a more community-focused alternative to Black Friday shopping. (Picture above) David Thompson, third generation owner of Thompson’s Jewelry – a Main Street Batesville business since 1924, assists a customer with a watch purchase. Watches are the item Thompson chose to discount and promote as part of the downtown district’s “Shop Small Saturday” event planned for November 25. The day – in contrast to Black Friday – aims to provide a slower pace and “less-stress” shopping experience for those looking to get a jump on holiday gift-buying following Thanksgiving. Merchants are rolling out the welcome mats – literally. 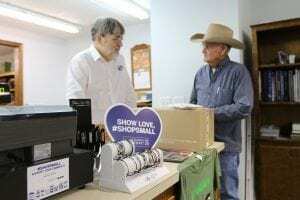 American Express, who helps merchants nationwide with ways to observe the event, has supplied downtown Batesville merchants will special materials such as blue welcome mats and free canvas tote bags for their customers. The stores involved have different things planned, with some hosting open houses, others serving refreshments, and all offering special discounts and coupons. Some merchants are taking the opportunity to remind shoppers that when buying locally, the money spent stays and recirculates in the community, rather than leaving to another state or country. Small Business Saturday will also coincide with opening day of “Hometown Christmas Saturdays” on Main Street, a Christmas celebration hosted by the Main Street Batesville non-profit organization that will be held 10 a.m. – 2 p.m. for the four Saturdays following Thanksgiving. 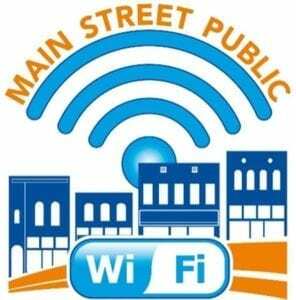 Locals can find more information on the Shop Small Saturday event on the Main Street Batesville organization’s website and Facebook page.